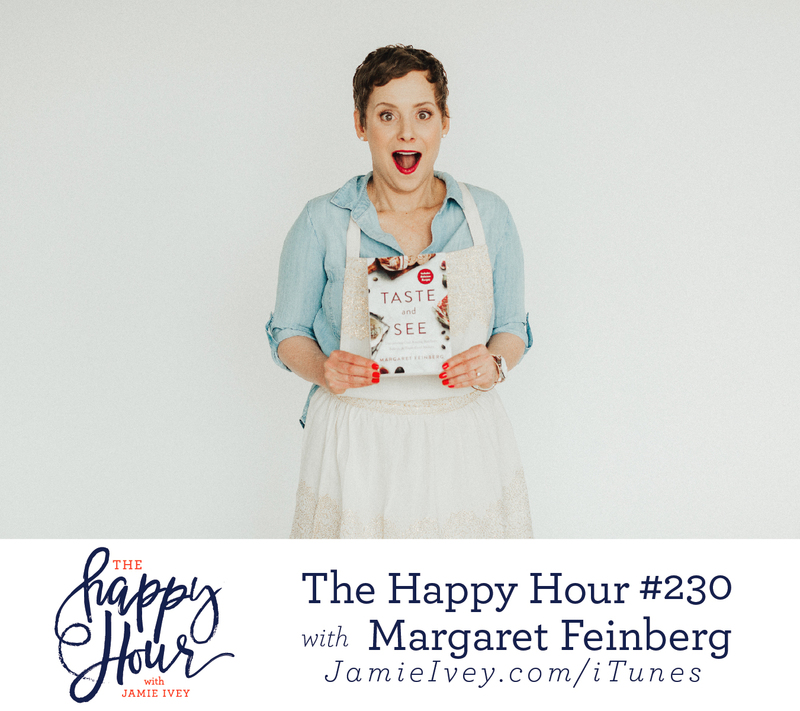 My guest for The Happy Hour # 230 is Margaret Feinberg. Margaret is a Bible teacher, speaker, author, and leader at conferences such as Catalyst, Thrive, and Women of Joy. Her books, including The Organic God, The Sacred Echo, Scouting the Divine, Wonderstruck, Fight Back With Joy, and their corresponding Bible studies, have sold more than one million copies and received critical acclaim. Margaret lives in Salt Lake City, Utah with her husband, Leif, and their superpup, Hershey. You guys, I learned so much from my conversation with Margaret that I just can't stop thinking about! On the show today, Margaret and I talk about her journey across the world as she dove into learning about certain foods from the Bible and examining them in light of Scripture. Margaret shares so many amazing stories, each of which opened up the Scripture to me in a brand new way. I especially loved hearing her tell how the Lord led her to fish in the Galilee. What began as a short trip to find a fisherman, turned into spending Passover with the fisherman's entire extended family! In every one of her stories, the insight she learned about these different foods provides even more insight into the Bible and what God is teaching us. It's truly amazing, and I know you will be as blown away as I was. Nations Photo Lab - use code HAPPYHOUR15 for 15 free square prints! Click HERE to Get All the Links from the Show! 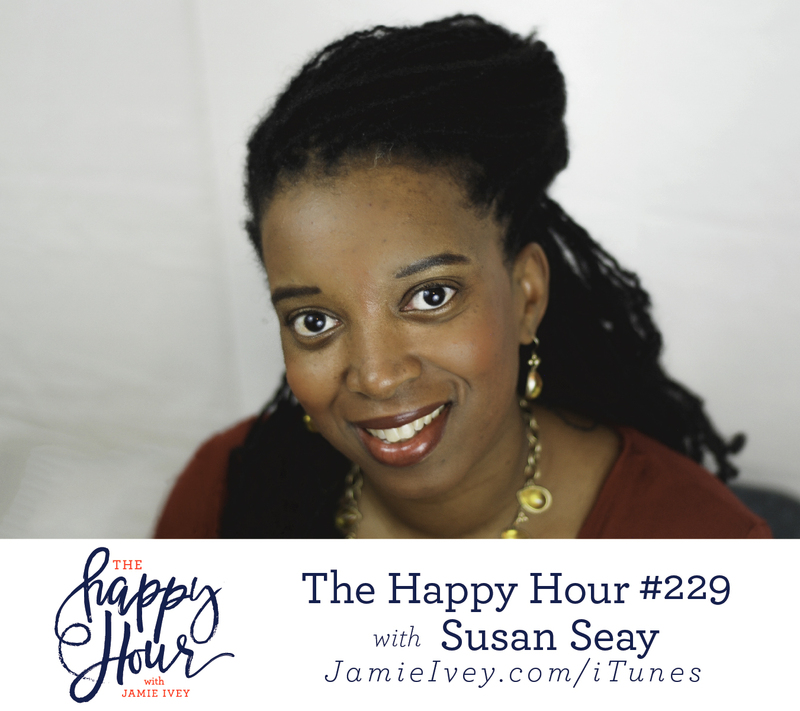 My guest for The Happy Hour # 229 is Susan Seay. Susan is a wife and mom of 7 who is fiercely committed to being a voice of encouragement to moms in all stages of motherhood. 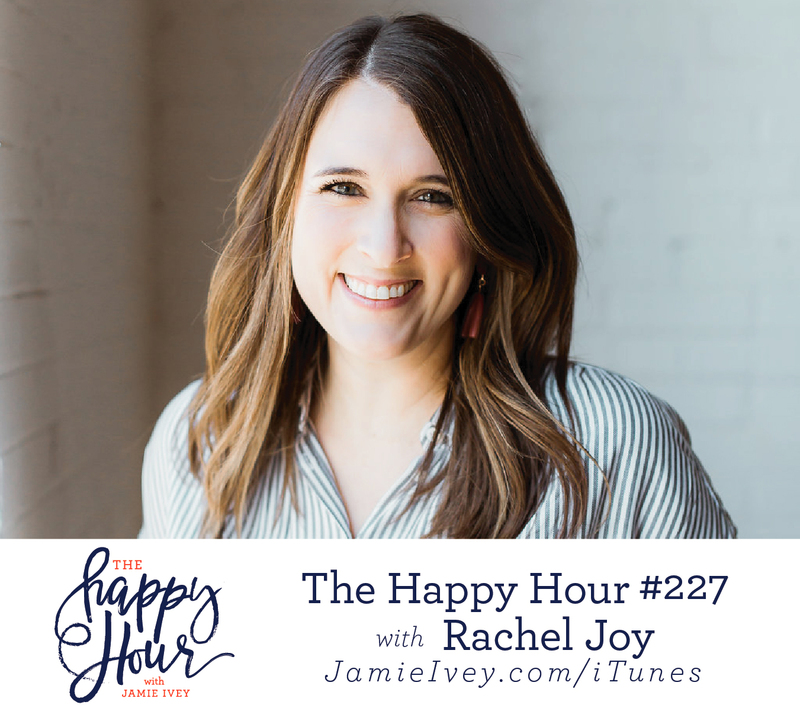 She and her family make their home in Austin Texas, but her message reaches all across the country and internationally through her podcast, speaking, book, and coaching. You guys, I could have talked to Susan for hours, and I know you’re going to love our conversation no matter what season of life you’re in. Click HERE to read more and get all the links from the show! 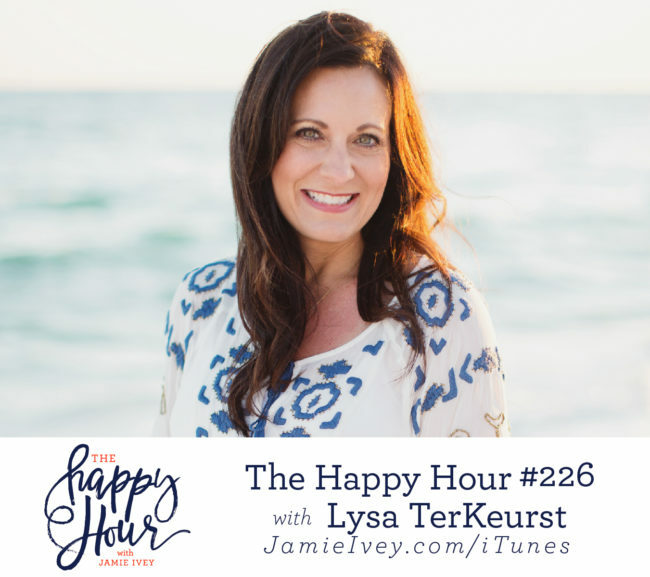 My guest for The Happy Hour #226 is Lysa TerKeurst. Lysa is a #1 New York Times bestselling author of over twenty books, international speaker, and the president of Proverbs 31 Ministries. Her passion is teaching the Bible in vulnerably realistic ways that help others personally engage with God by connecting His truth to their everyday lives. You can find her most days writing from her sticky farm table in Charlotte, NC and enjoying life with her husband Art and the families of her 5 grown children. You guys, I cannot think of a better way to start off The Happy Hour in 2019 than this episode. Get your tissues and your pen and paper ready for this one. Lysa and I start off the show talking about how she began working with Proverbs 31 Ministries. Lysa tells us about writing her latest book in real-time as her world was turned upside down by a marital affair, and being diagnosed with significant medical issues. 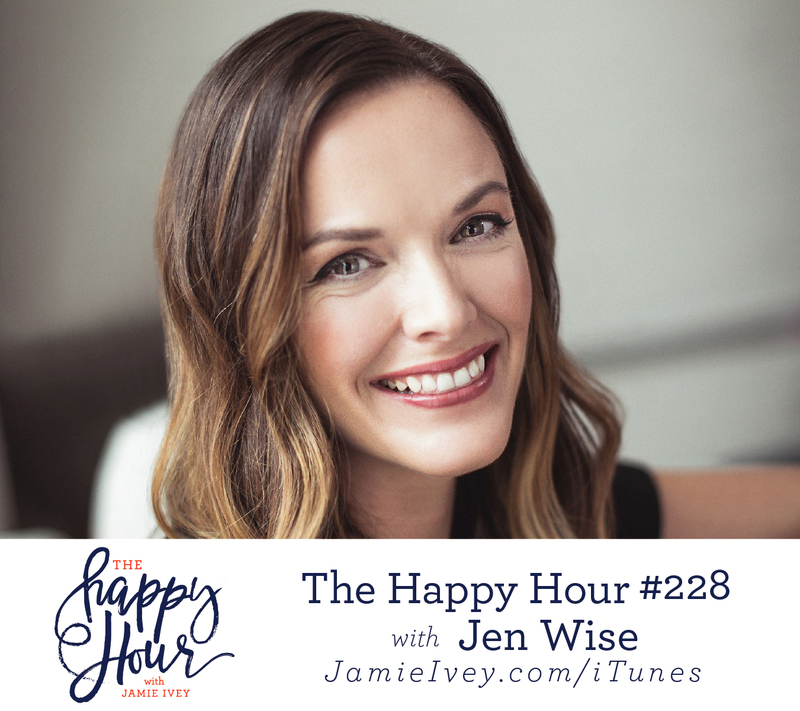 We talk about being in the "messy middle" place of life, and the importance of creating safe spaces and community to discuss disappointment in our lives. Lysa speaks about how God helped her hear His truth so she could face her fears, leaning on friends' faith when we feel so shaken, and the struggle of when our feelings and faith come in conflict. Lysa tells us how it wasn't clear to her how this story would end, but she realized redemption is available now, whether there's reconciliation or not. She speaks such encouragement to us when she says, "Redemption is based on my choices - I can choose to have redemption with God today." Faith Paper Shop - download free weekly pages to start now!